Monday 3rd September 2018 – Nominations open. Entrants fill out and submit a nomination form and complete payment. Wednesday 10th October 2018 – The voting stage opens. Once you have nominated your company or venue, in order to make the shortlist of the top wedding suppliers and venues in Ireland you must canvas for votes. Tuesday 30th of October 2018 – The Finalists are announced! The finalists will be announced via email to those who have entered, here on the awards website and on the weddingsonline website. If you become a finalist you will be asked to complete an online submission document, containing samples of your work and reviews based on a real wedding experience which will be judged by our expert panel of independent judges who then determine a winner. Monday 26th November 2018 – Submissions close at 5.00pm. Monday 18th February 2019 – The winners will be announced at a Gala Dinner and Awards ceremony in February. Venue to be announced. 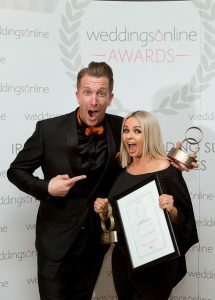 Nominations are open to all wedding suppliers and venues, customer and non -customers of weddingsonline.ie. If you are in business for less than two years, you will be automatically entered into the Newcomer Category. 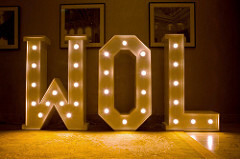 Non Irish businesses/venues must enter one of the Destination Wedding categories. If there are not enough entrants in any category, we will offer an alternative category or arrange a refund. Late entries may not be accepted. One verified vote per email allowed. No refunds given after voting goes live. Tickets for the gala event in February are sold on a first come first served basis, unfortunately there is no reserving of tickets as we sell out every year.